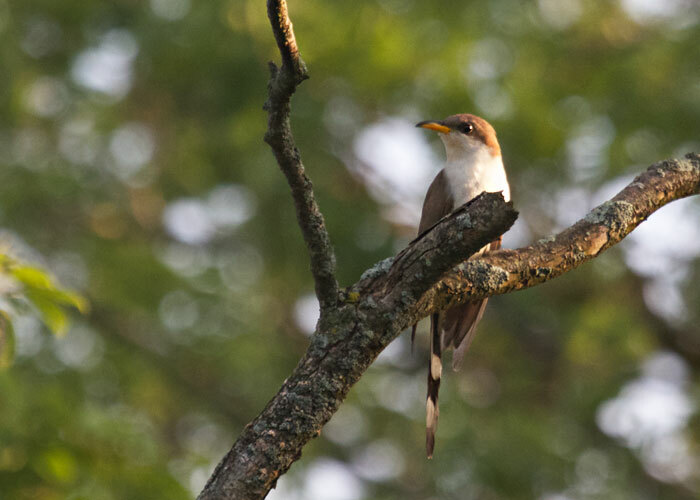 A yellow-billed cuckoo knock-knock-knocked in the forest this morning. The repeated wooden sound came from a tree so close and tall that I had to lean over backwards to see the caller. Although yellow-billed cuckoo are declining about 3% per year, I hear them fairly often in summer. Far less often I get to see one. So today has started off pretty well.